This week we chat with Aliyah Hardy, Graduate of The Pilates Center, Boulder’s Advanced Teacher Training Program and owner of The Pilates Center of Rockville, Maryland. Aliyah began practicing the Pilates Method while working as a structural engineer and strategic planner. Years of dance training, track and field, and other physical activities laid the foundation for her love of movement, and she immediately connected to the structure, dynamics, mindfulness and integrated approach of Pilates. This connection and her belief in the Method led Aliyah to leave her corporate career to pursue a career in Pilates. How did you find out about TPC? In my previous career, I was an engineer and Strategic Planner for a large corporation. I was working late one night and started exploring ideas for a career change. Pilates, which I practiced and loved as a student, popped into my mind. I started searching online for Pilates teacher training programs. At 2 am, I was reading through various programs one-by-one. When I landed on the TPC page and started reading, my heart skipped a beat. What was your motivation for learning to teach Pilates? I was in the middle of a wonderful career that has been so valuable to me, and I wouldn’t change a thing. However, I knew that I had a different vision for my life and a different desire for the kind of work I wanted to put my drive, energy and creativity into. From my very first class, there was something about Pilates that spoke to me. I’ve always been a “mover” and very active, but Pilates made me feel good and gave me a deeper connection and understanding of myself, my body and movement in general, that I had never experienced before. Once my mind was open to the idea of pursuing a career in something I was passionate about, I became very excited about the idea of learning to teach Pilates. What was your reason for choosing to train with TPC? If I were looking to change my profession to any other field, medicine, law, etc., I would want the very best training and education possible. I had a new vision for my life, my career and what I wanted to create through my work. So, my goal was to become the best Pilates teacher I could possibly be, and ultimately open my own studio. Plus, when I mentioned TPC to my Pilates teacher at the time, she absolutely gushed about Amy and Rachel! She actually said that if I could, I should just move out to Boulder and do the program. That was confirmation that I was on the right track. So, I scheduled a visit to TPC. Absolutely. I think I looked at every one of them! If so, what was it about TPC that made it stand out from the other Pilates training schools you looked at? As I researched the TPC program, it was clear to me that the program went far beyond teaching people how to teach the exercises. The goal was to teach you how to help people help themselves through movement, through Pilates. When I visited the studio, I saw a range of skills when I observed the teachers, like using touch, voice cues and imagery. Those soft skills make a big difference. I really connected to their passion and curiosity for the work. 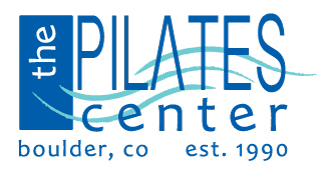 Why do you think TPC is the best option for people wanting to become Pilates teachers? I believe deeply in comprehensive Pilates Teacher Training, and I think TPC is a pioneer in strong, foundational Pilates teacher training. What was / is your favourite things about TPC’s teacher training programme? As exhausting as they were, I loved the Formal Lecture Weekends in Boulder. There was so much learning, sharing, curiosity and camaraderie in one room! There were things that I learned in collaboration with other teachers and trainees that I would never have learned or experienced otherwise. What do you think your experience at TPC has given you most? TPC gave me a strong foundation and set of skills from which to grow and develop as a teacher. There are things that I learned during training that came into focus long after my training ended. It really is a journey, and it’s important to have good roots! What would you say to someone who is considering training with TPC? Visit the studio in Boulder. There’s nothing like feeling the energy of the studio and the people to give you an understanding of what the program has to offer.